CAMBRIDGE, Mass., 2018-Aug-03 — /Travel PR News/ — Boeing [NYSE: BA] today (Aug 1, 2018) announced plans to open the new Boeing Aerospace & Autonomy Center in Cambridge, Mass., becoming the first major tenant of the Massachusetts Institute of Technology’s (MIT) new mixed-use district in Kendall Square. Under the agreement, Boeing will lease 100,000 square feet of research and lab space inside a new 17-floor building at 314 Main Street in Cambridge. The new center will house employees from Boeing and subsidiary Aurora Flight Sciences, who will focus on designing, building and flying autonomous aircraft and developing enabling technologies. The construction of the new research facility is part of MIT’s broad strategy to foster vibrancy and diversity in Kendall Square, which is often referred to as the most innovative square mile in the world. 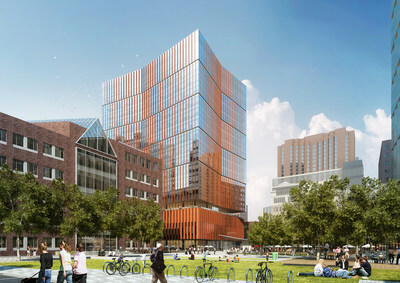 Through its Kendall Square Initiative, the university will develop six buildings to house a blend of lab and research, office, housing and retail space. Employees from Aurora Flight Sciences’ existing research and development center in Kendall Square will move into the new center and operate it on behalf of Boeing once complete. The new agreement builds on a century-long relationship between Boeing and MIT to advance aerospace innovation. Last year, the company announced its role as lead sponsor of an $18 million project to replace MIT’s Wright Brothers Wind Tunnel. Aurora Flight Sciences, A Boeing Company, is an innovative technology company striving to create smarter aircraft through the development of versatile and intuitive autonomous systems. Operating at the intersection of technology and robotic aviation, Aurora leverages the power of autonomy to make manned and unmanned flight safer and more efficient. Headquartered in Manassas, Virginia, Aurora has more than 550 employees and operates in six locations, including research and development centers in Cambridge, Massachusetts, and Luzern, Switzerland; manufacturing facilities in Bridgeport, West Virginia, and Columbus, Mississippi; and offices in Dayton, Ohio, and Mountain View, California. This entry was posted in Airlines, Travel, Travel Services, Travel Tech, Travelers and tagged aerospace, Autonomy Center, Boeing, Cambridge, Greg Hyslop, John Langford, Martin Schmidt, Massachusetts. Bookmark the permalink.